HAWKS Debit Card Now Available! 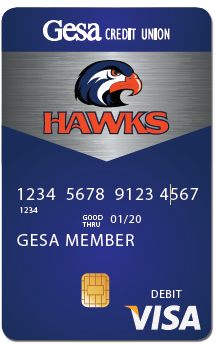 In conjunction with the Gesa in the High School Program, CPPS and Gesa Credit Union have launched a special Visa debit card for existing and new Gesa Members. This program is exciting because every transaction you make, Gesa will pay five cents back to College Place Public Schools! All payments will directly benefit the students and educational programs of CPPS. Visit your local Gesa Branch or if you are an existing Gesa customer you can call 888-946-4372 to get your card today!